I know a lot of my posts start like this, but this is a car I have waited to see for a long long time, so please bear with me. 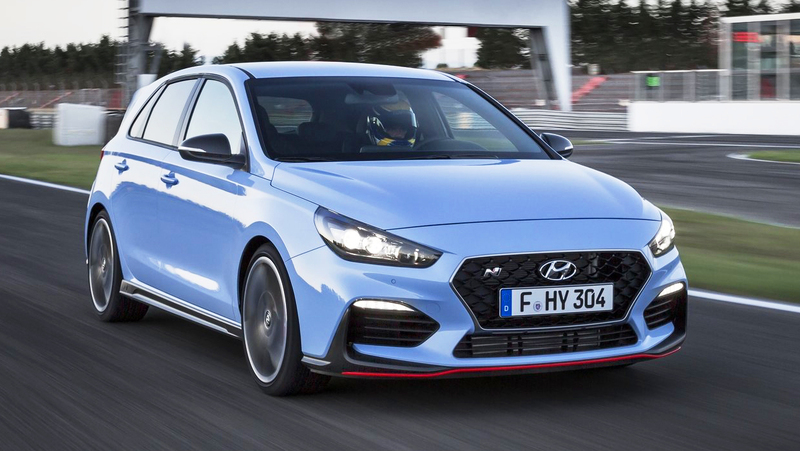 Okay, that’s out of the system and now I can talk you through the all-new Hyundai i30N, the brand’s first high-performance car under the new N line-up. 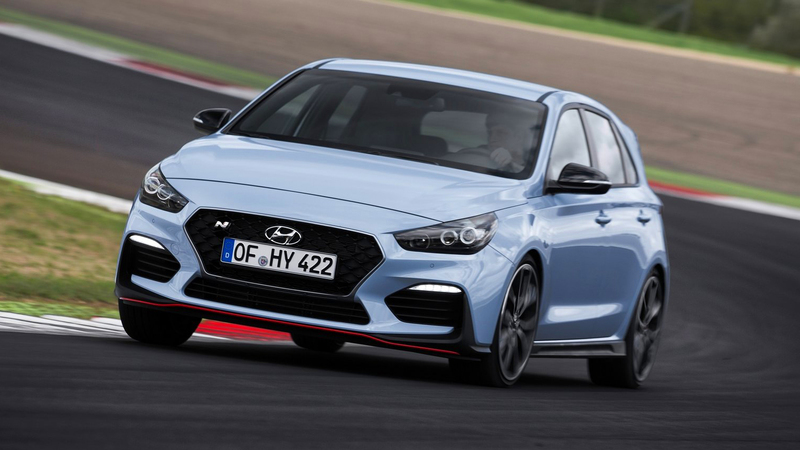 That’s the portfolio being developed with Albert Biermann at the helm, a man who was previously with BMW’s M Division. Before we get into how gorgeous this thing looks and all the tech it contains, let’s jump straight to the main bits. The engine. 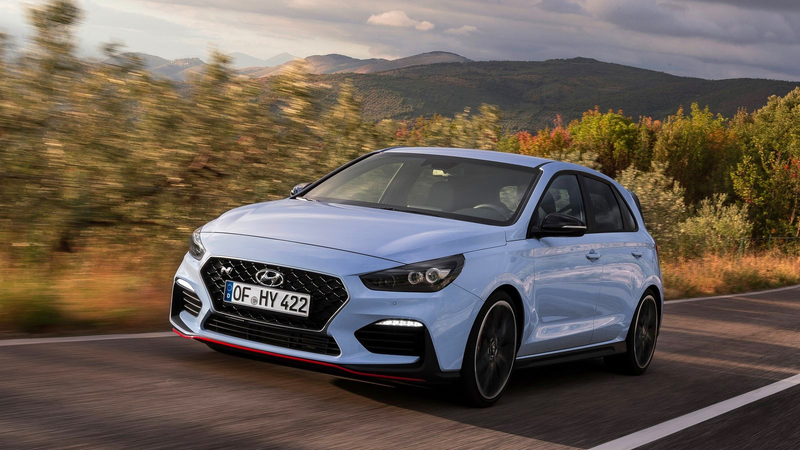 This is the Korean hot-hatch I have been waiting for since the day Hyundai announced its participation in the WRC, from where they have drawn experience to build this one, so performance figures are key and they do not disappoint. 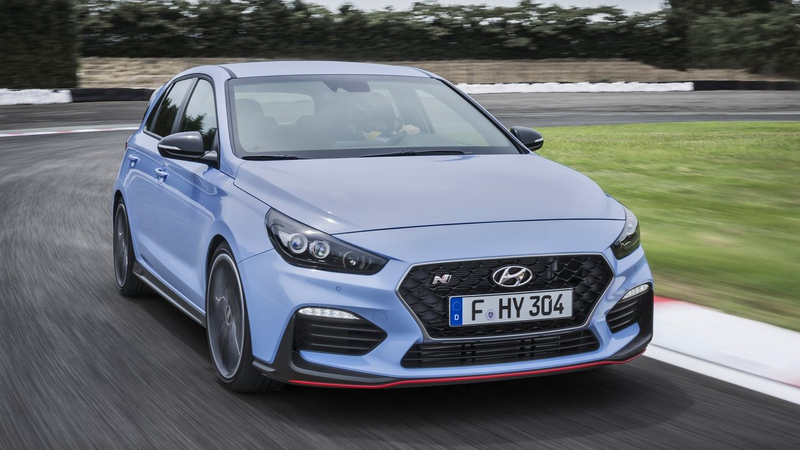 It is powered by a 2.0-litre turbocharged engine which in the top-tune ‘Performance Package’ offers up 271bhp and 353Nm of torque. 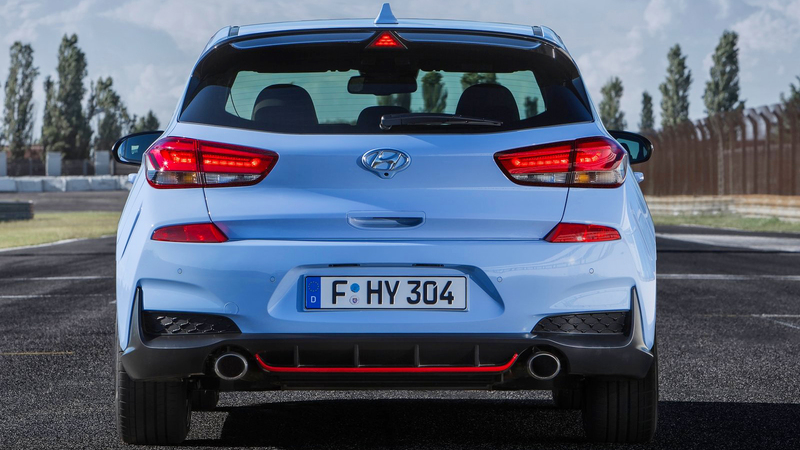 The unit is paired with a 6-speed manual transmission to deliver the powers to the front wheels. 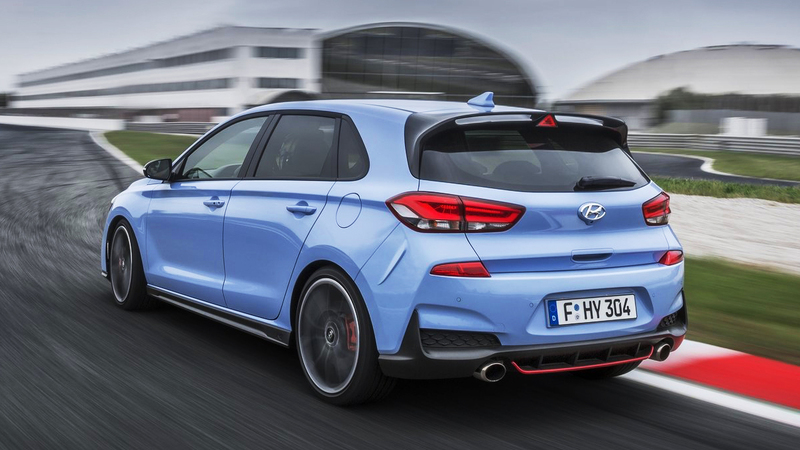 The ‘Performance Package’ also includes an electronically limited slip differential and a variable exhaust valve system. 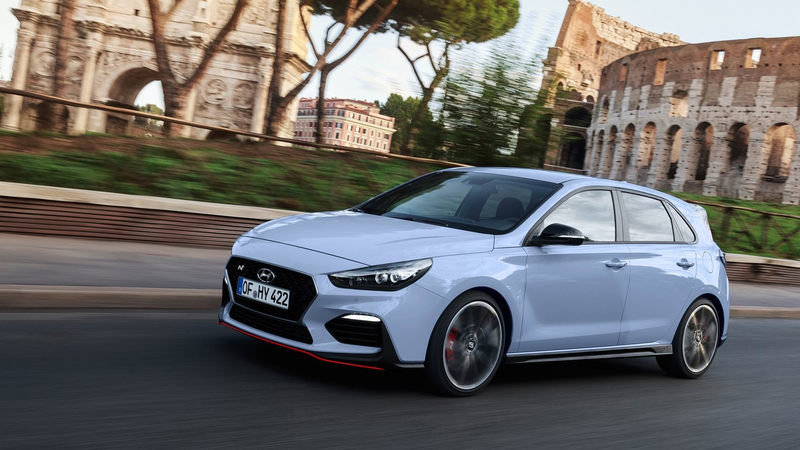 Moving on to the looks then, the i30 N is built on the same chassis as the regular i30 and looks a lot unlike the concept they previewed last year. 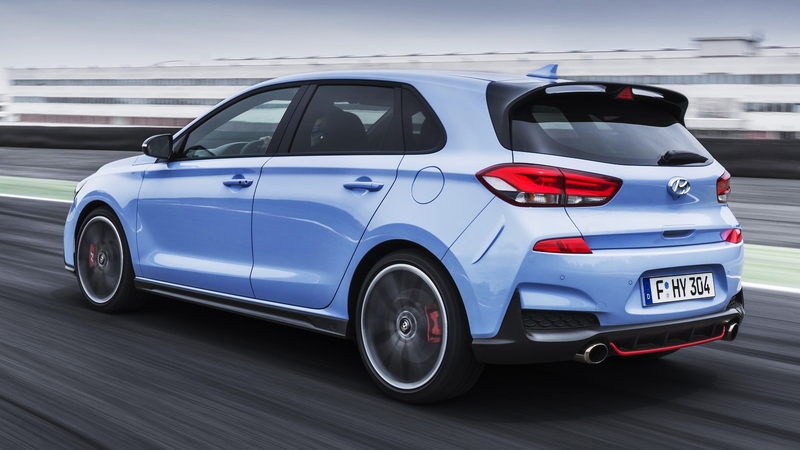 That said, it is still a very good looking hot hatch with distinctive character, particularly in this colour. 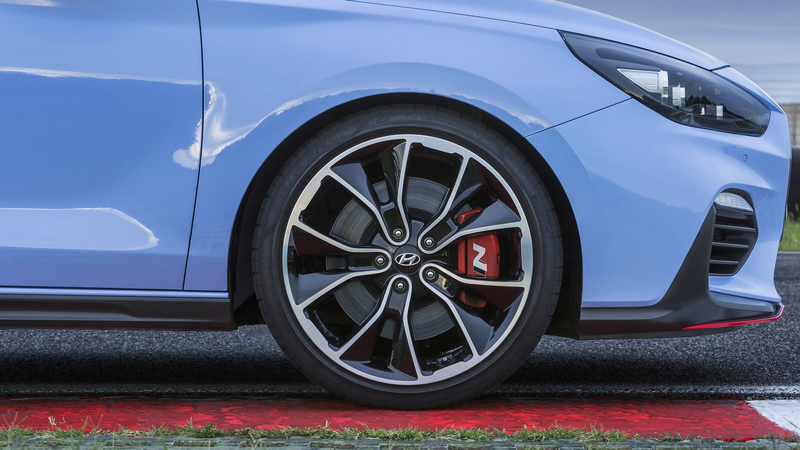 Spec it with the 19-inch Pirelli high-performance Hyundai N tyres and it sits 8mm lower than the standard i30. 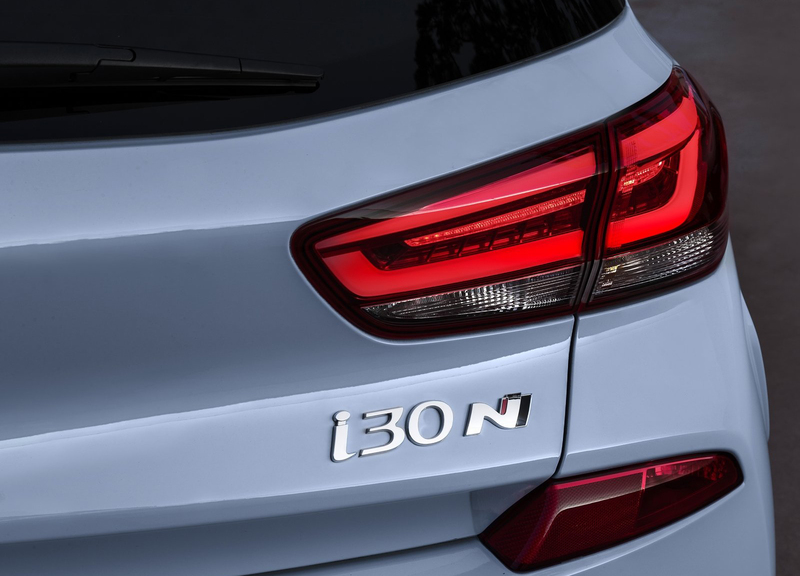 There are plenty of N logos all around the car and inside it as well which isn’t a bad thing at all. 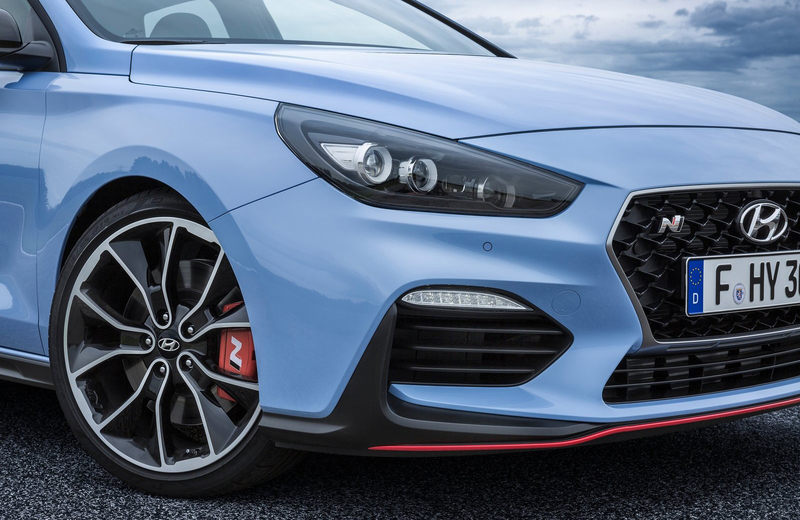 It gets bright red brake callipers, a cascading grille design with the front bumper featuring a red insert to highlight its sporty and aggressive nature, with a front splitter and a not-so-subtle spoiler for downforce. It even has a double muffler exhaust. 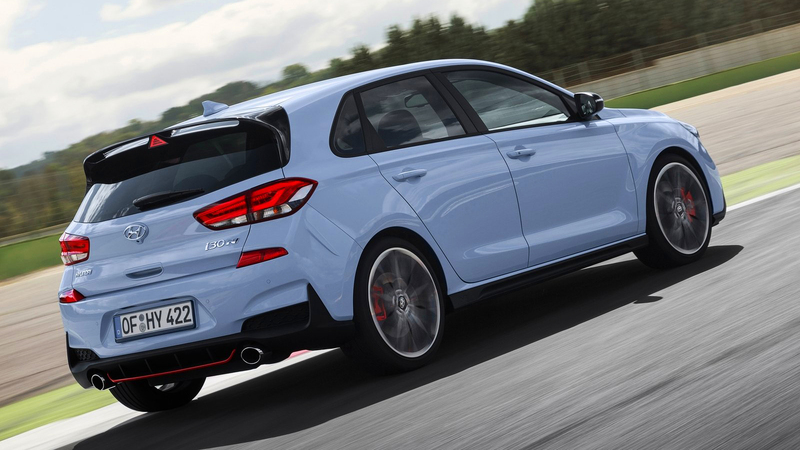 Mind you, this is not an all-out performance hot hatch, it’s not meant to be. 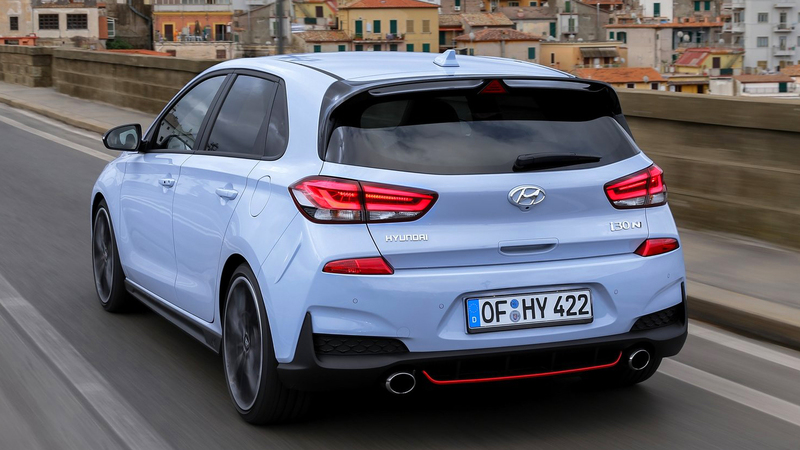 The i30 N is designed to be and is an everyday sports car, with 5 doors and rear seats and creature comforts. 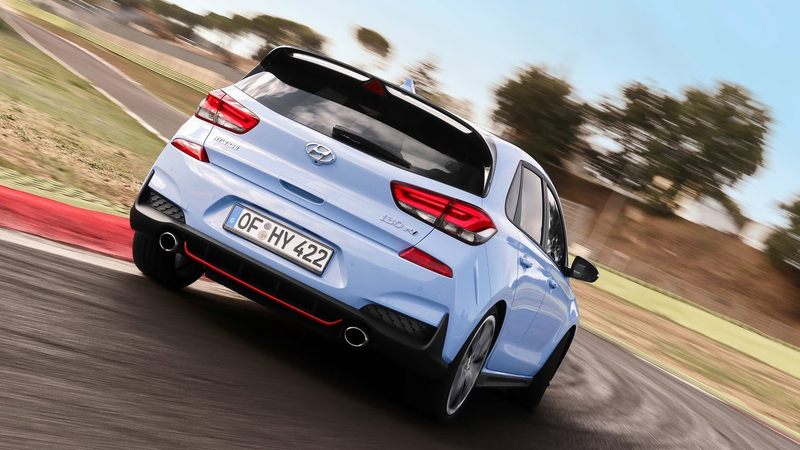 But you can still completely switch off Electronic Stability Control to hoon around and it even features launch control. 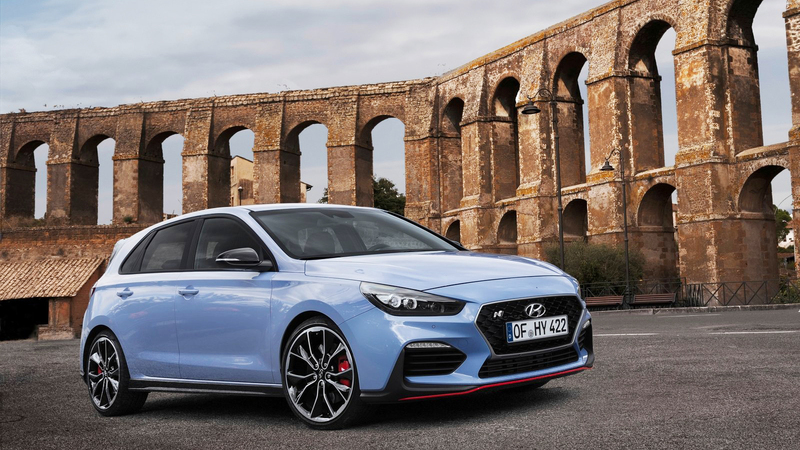 Once inside, there are more changes to make it a driver-centric experience, with the sport seats in front featuring more N logos, the blue pinstripe on the ball-type knob of the gear stick, the instrument cluster and especially the “N” steering wheel. 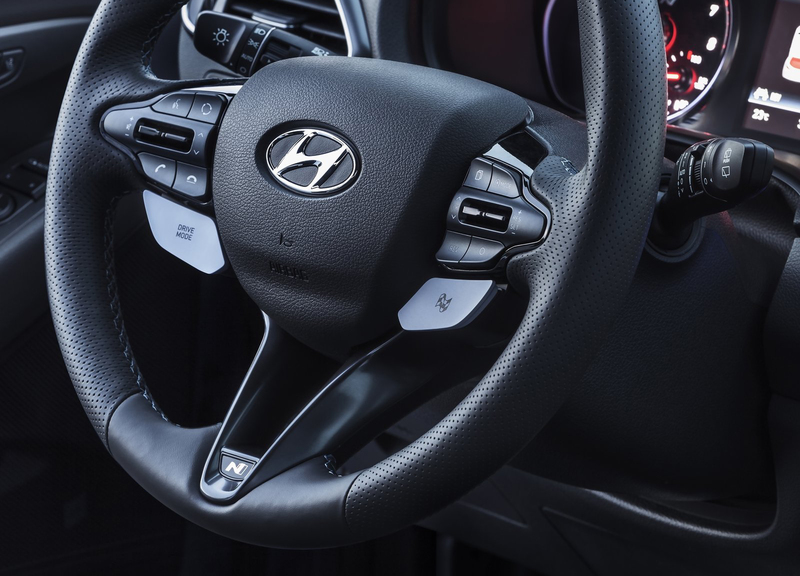 The steering wheel in this car has a lot more than your average controls. 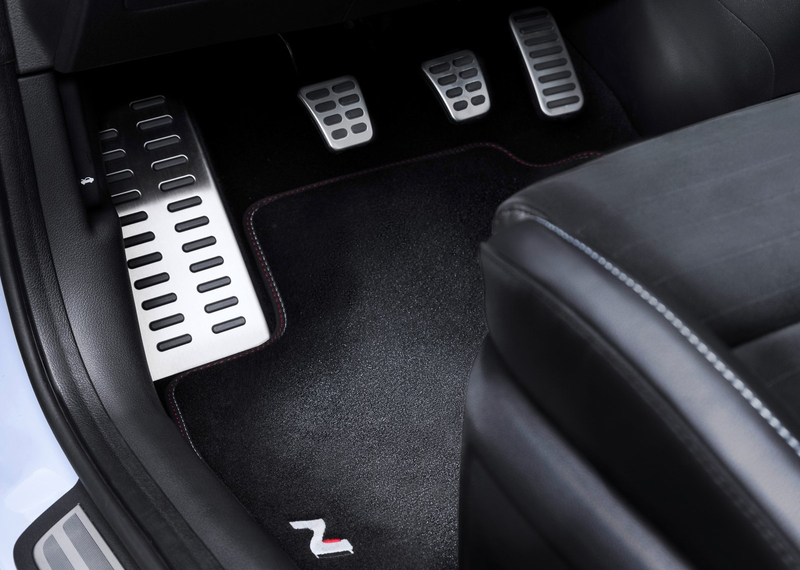 On the left side, there is the button to cycle through the various driving modes (Normal, Sport and Eco). 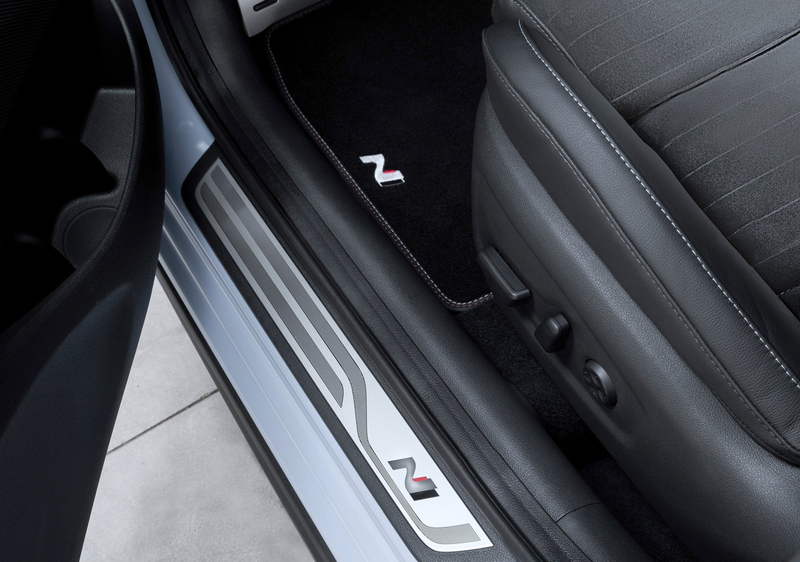 On the right, there is a chequered-flag N button to activate N-mode or the custom setting seen on the nav screen. 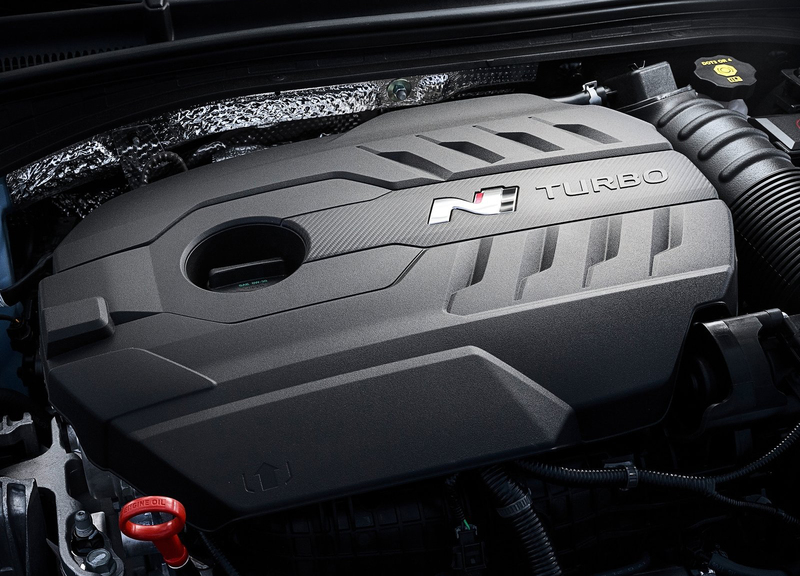 Drivers can even activate the rev-matching control system by pressing the dedicated rev button just on top of the N button, all for better engine control during shifting. 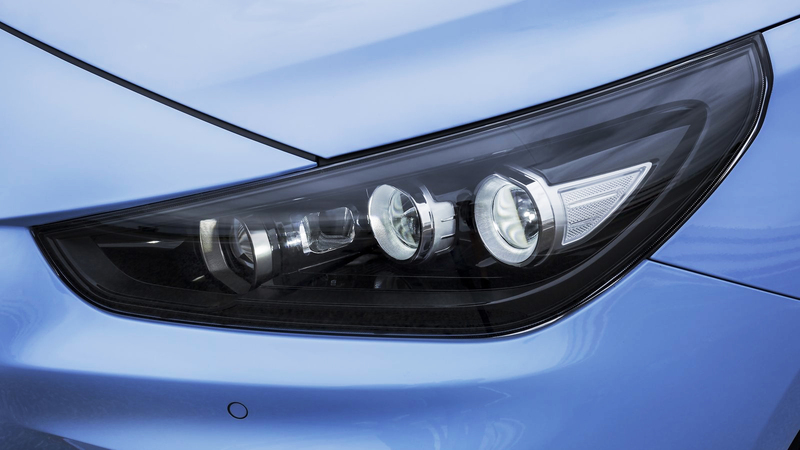 There’s more to the electronic cluster which also has a shift-timing indicator right at the top, while the red zone of the variable LED rev-counter varies according to driving performance. 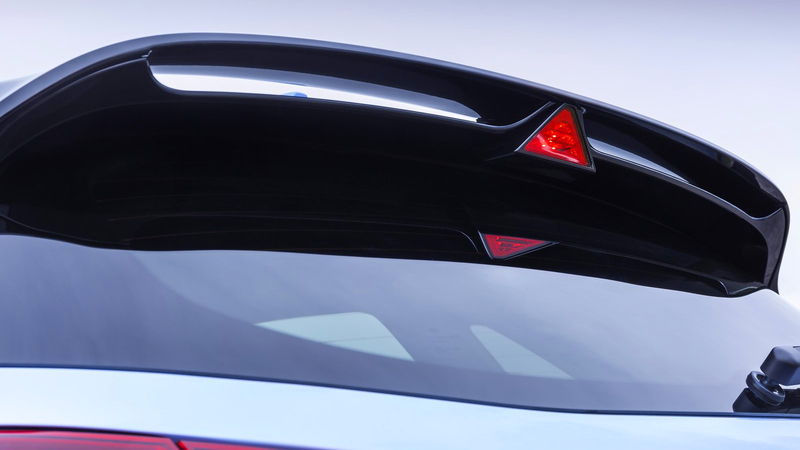 Something similar to what we’ve seen in M cars too. 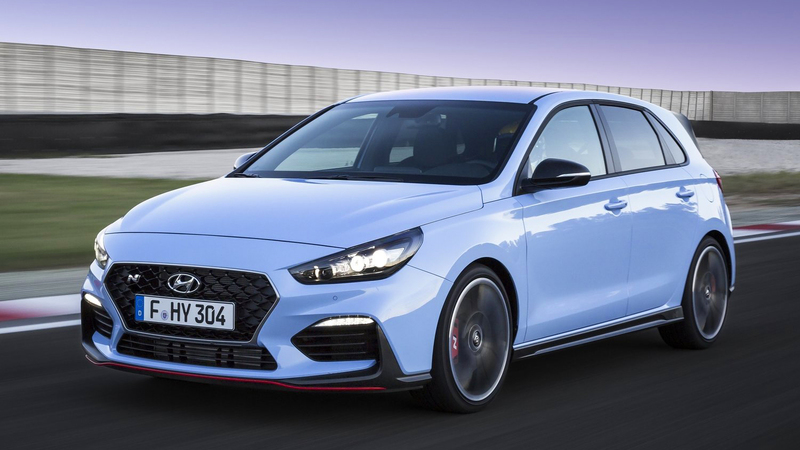 There is a choice of a 5.0-inch or an 8.0-inch touchscreen infotainment system that also displays information on PS, torque, turbo boost and even a lap timer. 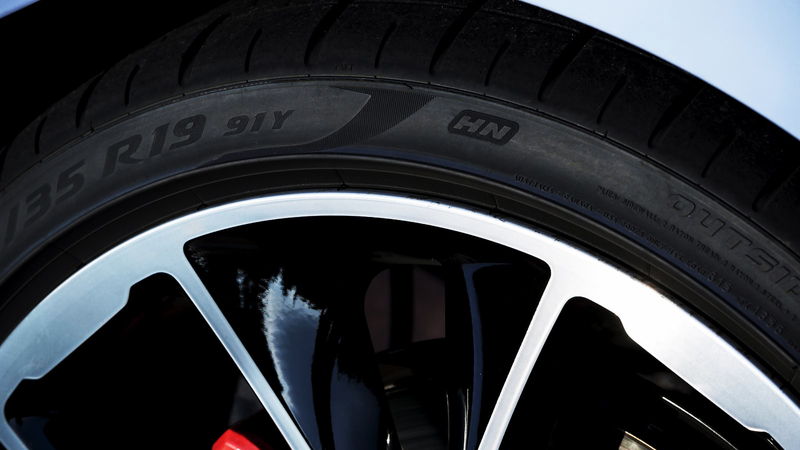 The N mode screen menu also offers customisable settings for the suspension, steering, transmission, exhaust sound, stability control, rev-matching and differential too. 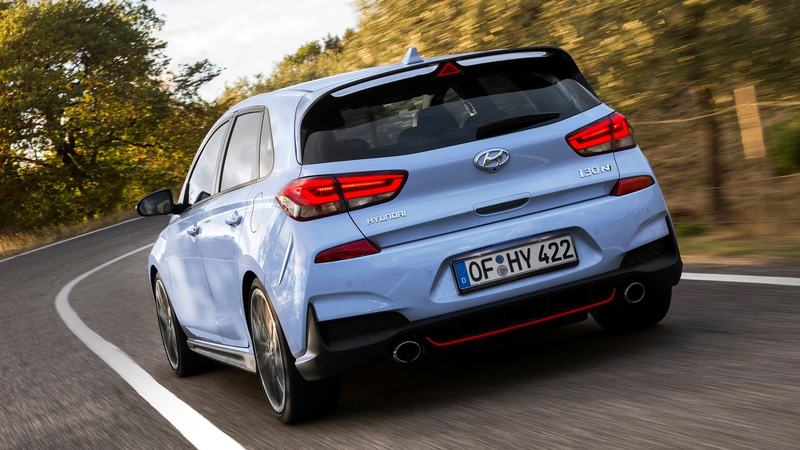 Safety features are packed in too for when you’re trying to do city trips and family road trips, including autonomous emergency braking, driver attention alert, lane keeping assist and high beam assist too. 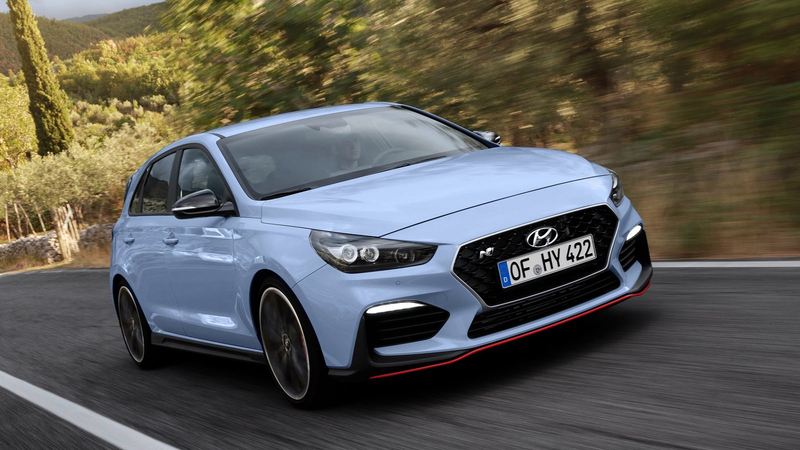 The interiors are a bit too Hyundai still and not as special as a VW Golf GTI or a Honda Civic Type-R, which is a bit of a down point given the looks of this new hot hatch. 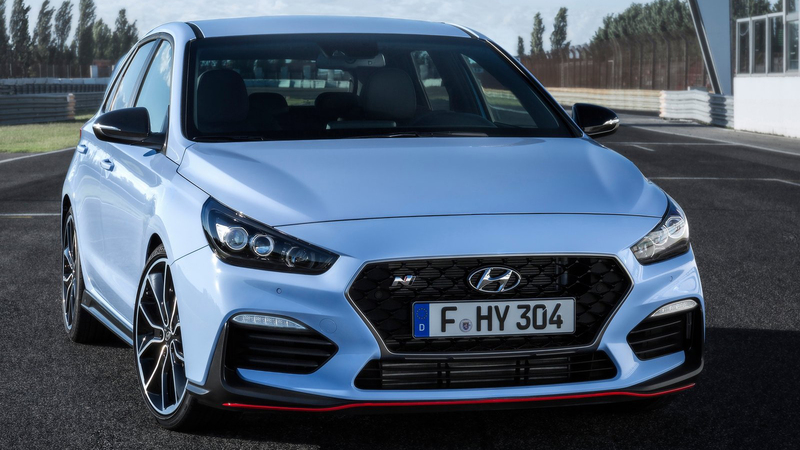 Hyundai have been working hard on the i30 N, testing it intensively apart from drawing on their WRC experience, to offer top-level sporty performance and an engaging driving experience. 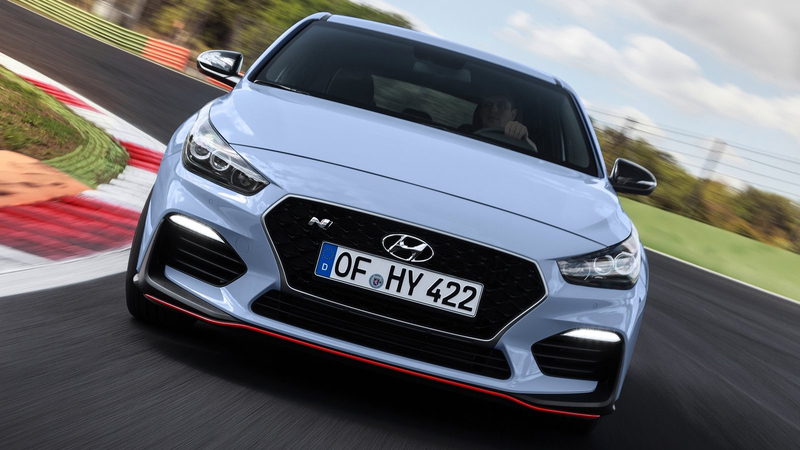 It has done 10,000km of testing around the Nordschleife at the Nürburgring circuit. 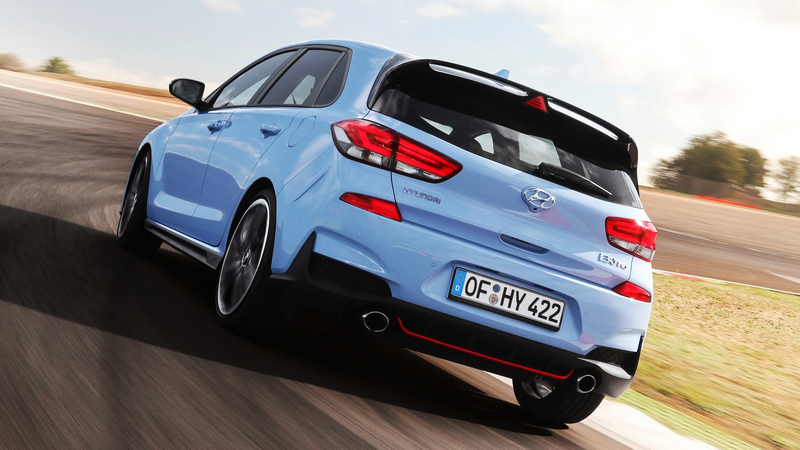 It has taken part twice in the ultimate endurance race, the ADAC 24-hours race on the Nürburgring. 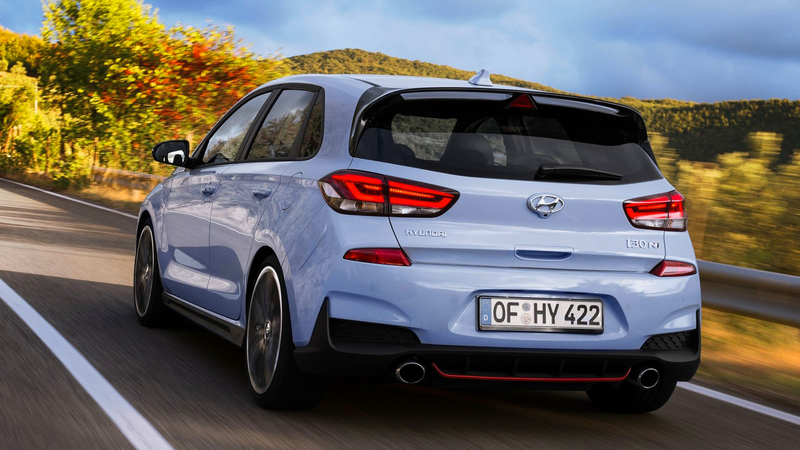 The sad bit is that this car will probably never come to Indian shores, but it’d be great if Hyundai would take us over to Europe to test the i30 N nonetheless. 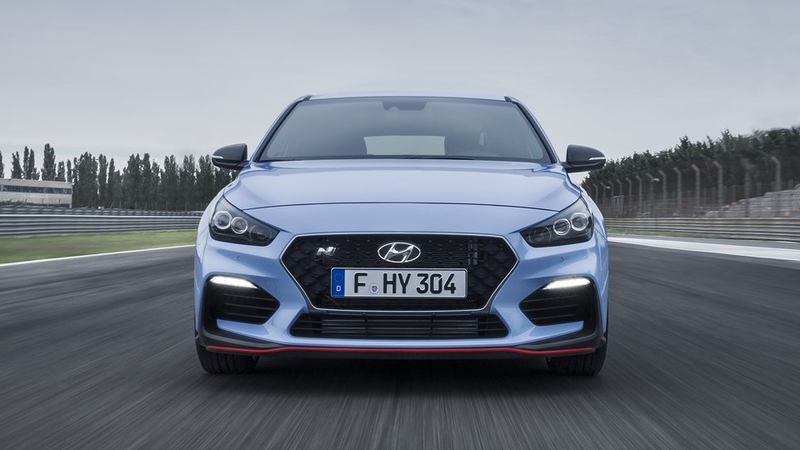 But the more important question is, how will the Namyang-born and Nürburgring-tested 271bhp Hyundai i30 N fare against its main rivals – the 295bhp Seat Leon Cupra R, the 217bhp VW Golf GTI and the 302bhp Honda Civic Type R. Share your thoughts in the comments below.